Eliminate the weight and clunkiness of stainless steel water bottles without sacrificing any insulating power. 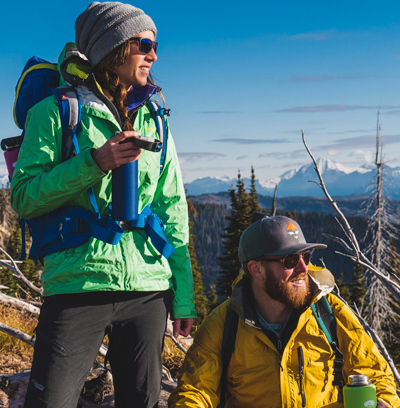 Incredibly lightweight, vacuum-insulated bottle provides heat and cold retention for hours and hours while being 1/3rd lighter than traditional designs. Impossibly thin, 2mm walls are thinner than most single wall plastic bottles for an amazingly compact footprint that fits anywhere.